Tyler Junior College, since its founding in 1926, has exemplified spirit and tradition at a post-secondary institution. A rich history of student life involvement sets TJC apart from other two-year colleges and fosters an ever-growing Alumni Association. 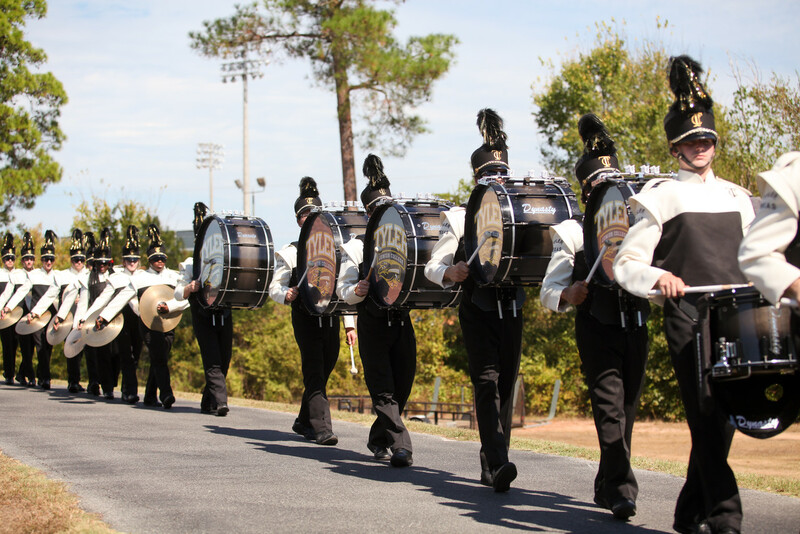 The Drumbeat starts Monday before Homecoming and doesn't stop until kickoff. 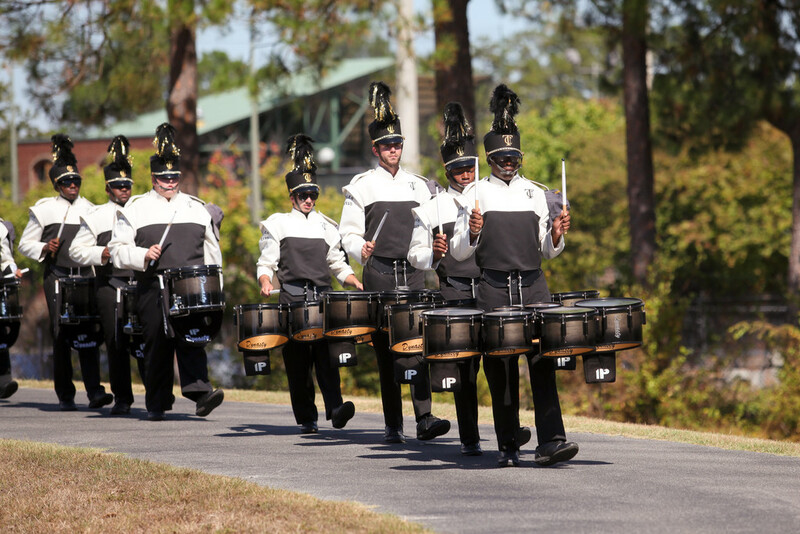 The drumbeat is one of TJC’s oldest and proudest traditions, representing the heartbeat of the College. The drumbeat tradition began in 1948 and has remained an unbroken, TJC Homecoming Week custom ever since. 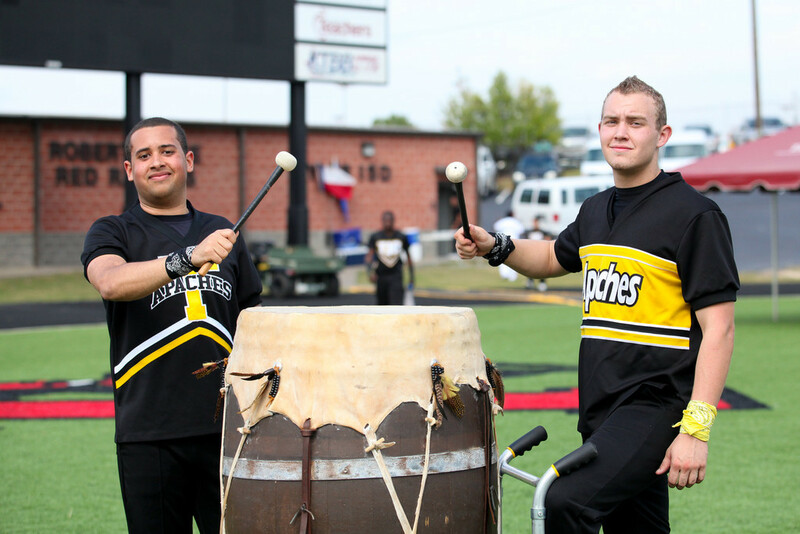 TJC students, faculty and staff volunteer for time slots to keep the drum beating 24 hours a day from the Monday morning of Homecoming Week until kickoff of Saturday’s football game. According to TJC lore, if the drumbeat remains constant until Saturday’s game, the Apaches will win; but if it stops, they will lose. The tradition has held for the past 18 years, with one exception, when the drumbeat stopped and the game ended in a tie. The weather was also a major factor in that game. It hailed and came a flash flood, and the game was delayed three times due to the lightning. Take from us the victory? Swell up to the sky! On to Honor! On to Glory! In the 1940's TJC played in many national football games including the Rose Bowl in Pasadena, California. Members of the Tyler Community were interested in knowing if TJC won or lost its game and so they came up with a way for the community to know if TJC won their game. Ramey Tower was visible at the time from Broadway, since the trees on campus, planted by Dr. Potter were very small and Tyler Junior College is located on a hill at the present location. Ramey Tower is lit in gold if we win the game and in white if we lose the game. In 1996 the Student Senate put the chime system in the tower and had the wiring and paint redone on the tower. The next year they held a contest on campus for a stained glass window design and the art department helped to construct the stained glass window in Ramey Tower. The window captures many traditions, including the old logo, the school flower, the yellow rose, the Apache, and the first building built on the TJC campus, Jenkins Hall. The Rim March began in 1948, and has been an unbroken tradition since that time. As best can be determined, the Rim March started as a way to give a psychological advantage to our football team, much as the Indians did in the old westerns, silhouetting themselves on the canyon to intimidate the cowboys, so the Apache Band and Belles march the rim to show the Black and Gold. The march takes place approximately 45 minutes prior to kickoff.